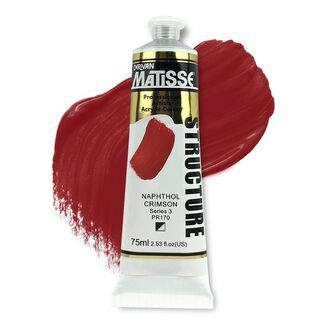 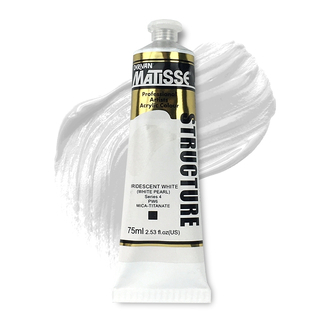 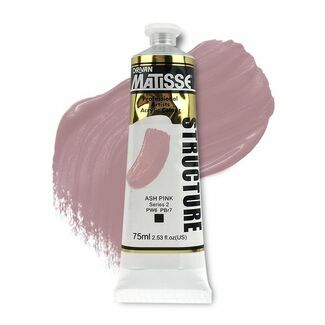 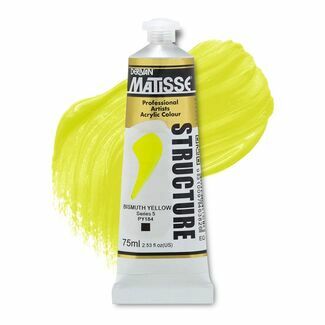 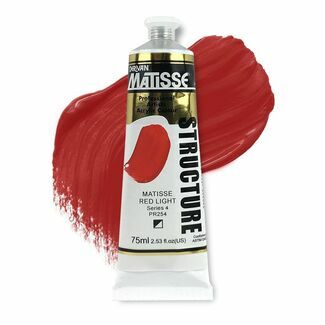 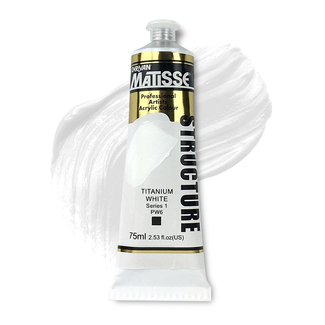 Matisse Structure Acrylic Paint is a high quality Artists' Acrylic Owned and Made in Australia, and widely loved by Australian and International Artists' painting and exhibiting professionally. Structure's formula makes it a rich buttery impasto acrylic paint and it is the ideal choice of paint when thick gestural application is desired. 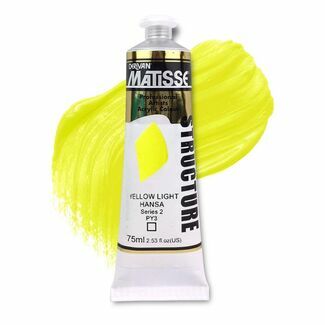 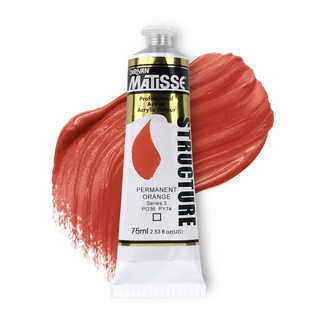 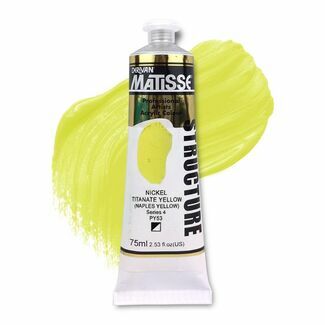 Structure can be used straight from the tube and applied thickly with a brush or palette knife, or can be thinned with mediums from the Matisse range, while still retaining is vibrant highly pigmented colours.